Gstaad: It’s hard to imagine Satan in bowling shoes. 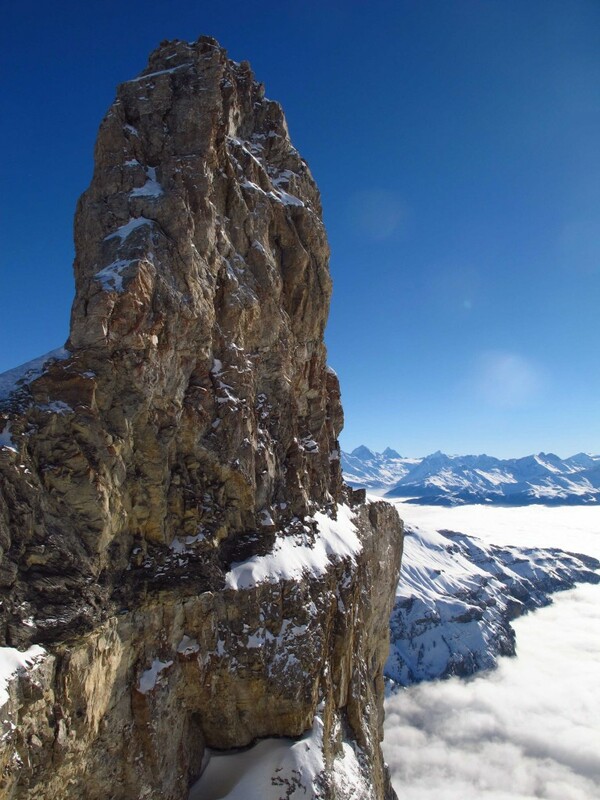 But whoever named the stony pinnacle atop Glacier 3000 the “Quille du Diable” (The Devil’s Tenpin) must have managed it. Maybe he was affected by the thin air here in the Swiss Alps, 3,000 meters high in the sky–or perhaps he had imbibed too much gluhwein. Drinking in the views atop this icy moonscape, I find it puts me more in mind of heaven than hell. Fog fills the valleys below, while snow-capped mountains serrate the blue sky in every direction. Amy Laughinghouse, November 21, 2013. 3 Comments on Glitzy Gstaad: Swish Swiss ski resort not just for celebrities..	Category: Europe, Hotels, Switzerland. 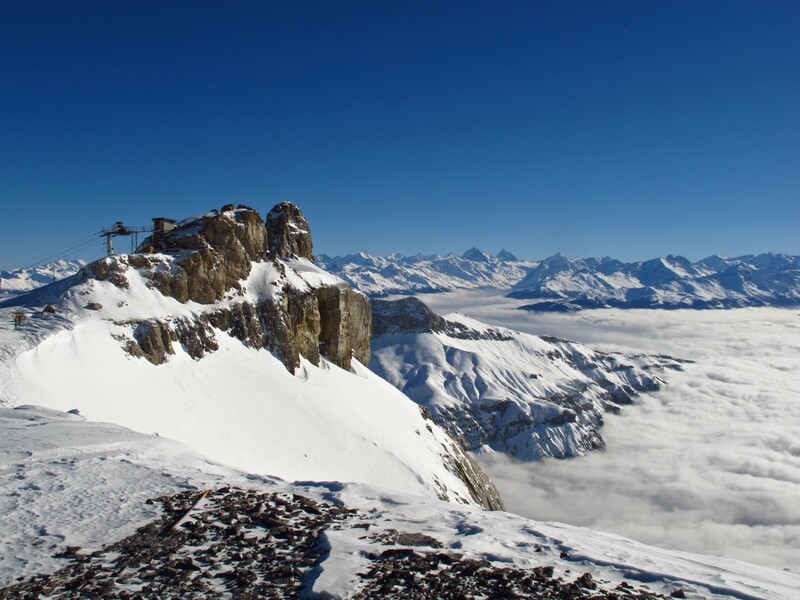 Tagged: Alps, Glacier 3000, Gstaad, skiing, Swiss Alps, Switzerland, The Alpina Gstaad, travel.